The Choir is always keen to hear from singers. Vacancies do occur from time to time. Our new musical director, Marco Bellasi's makes the decisions on the make-up of the choir. The key musical skill you need is the ability to hold a solid 'choral' line when down to one or two voices per part. An ability to sight-read is always useful, though singers whose sight-reading may not be good but who are prepared to commit to learning notes etc. between rehearsals, are welcome. Rehearsals take place every Tuesday night, during school term time, from 7.45pm until 9.45pm in Croftlands Junior School hall in Ulverston. Commitment to attending Tuesday rehearsals (as well as the concerts!) 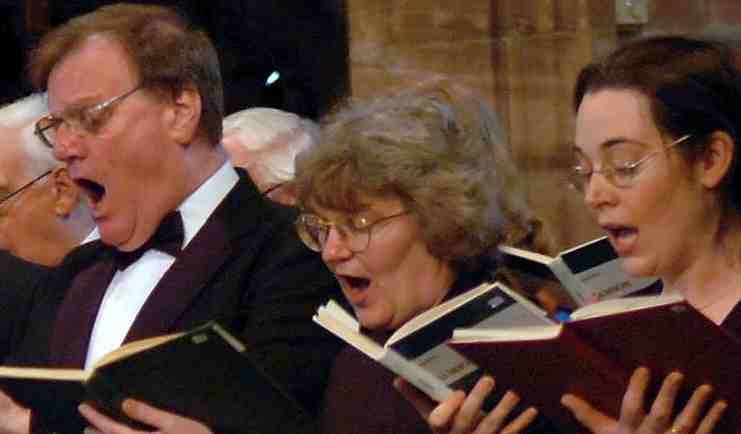 is important to ensure the choir gets the most from each rehearsal. If you would like to join us, please email our Chair, Ross Baxter at furnessbachchoir@gmail.com.